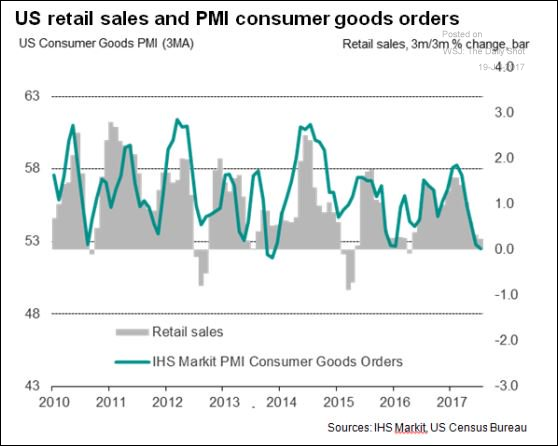 The United States: According to IHS Markit, slower retail sales are forcing US businesses to cut back on consumer goods orders. 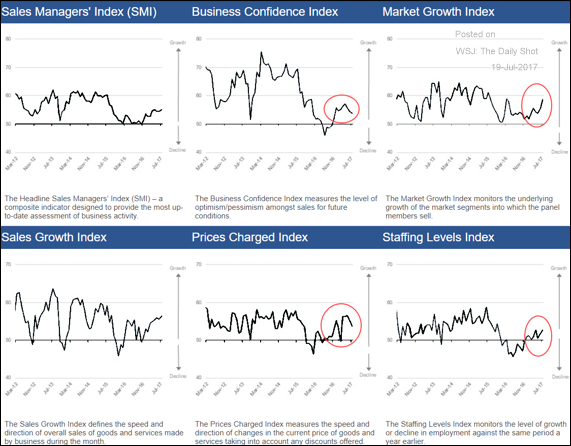 – Here is the US Sales Manager Index (SMI) summary from World Economics. 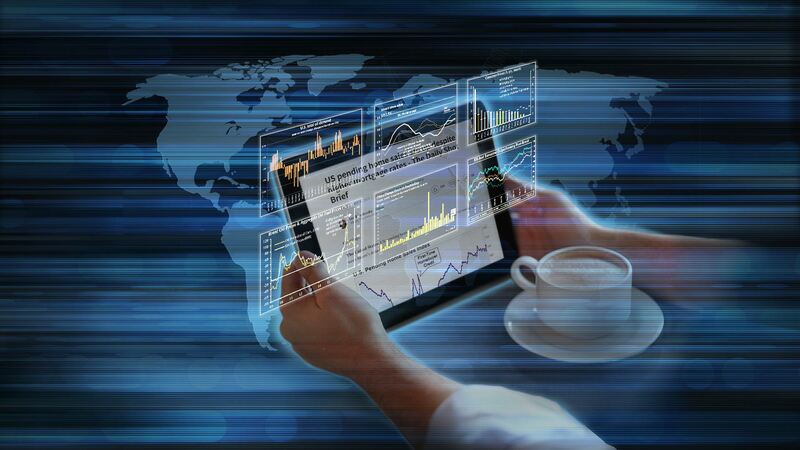 Gains in business confidence have slowed. Business activity and staffing levels continue to show improvement. The United Kingdom: Economists are increasingly concerned about a “no-deal” Brexit, which will ultimately force UK firms to pay tariffs to the EU. 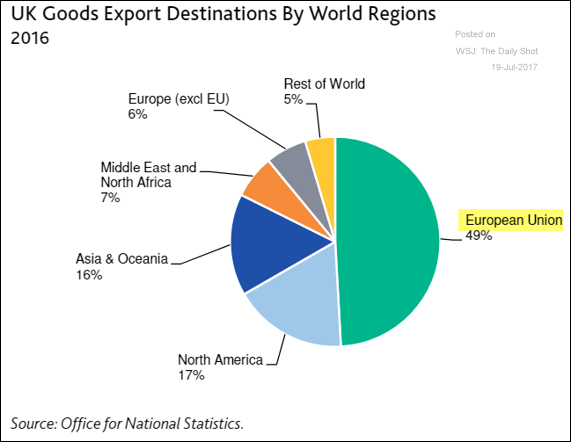 Such an outcome could be devastating for Britain’s businesses, given that the EU remains the nation’s largest export destination. 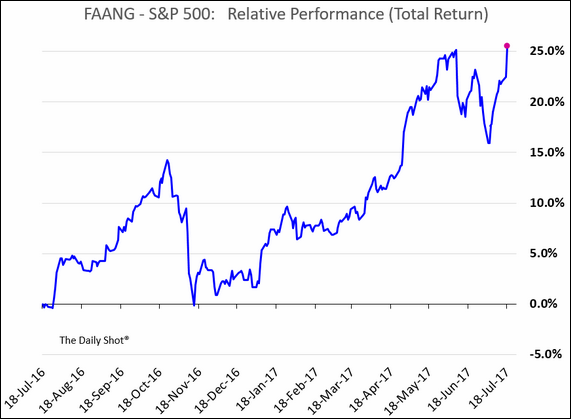 Equity Markets: The tech rally has pushed the FAANG basket outperformance to new highs (FAANG stands for Facebook, Amazon, Apple, Netflix, and Google). Netflix’s impressive subscriber growth fueled the rally. 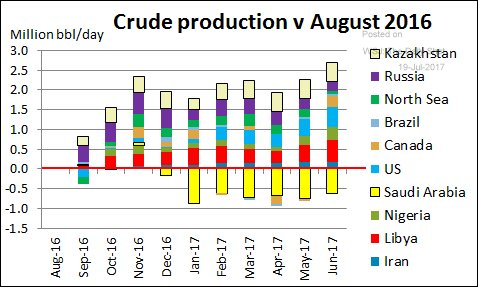 Energy Markets: Here is why the OPEC/Russia cuts have been rather ineffective. 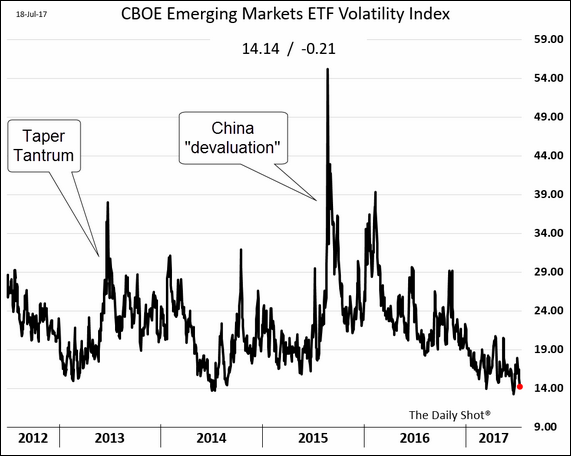 Emerging Markets: Just like in the US equity markets, the EM stock ETF volatility is near record lows. 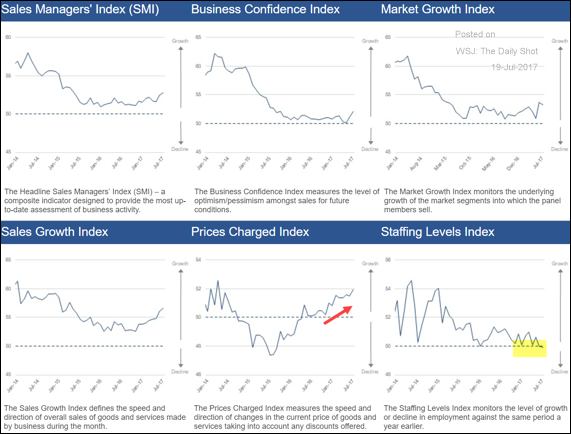 China: The latest SMI report from World Economics suggests improving business activity, which is consistent with the official figures. The data also shows that companies increasingly have pricing power. Hiring, however, seems to have stalled. 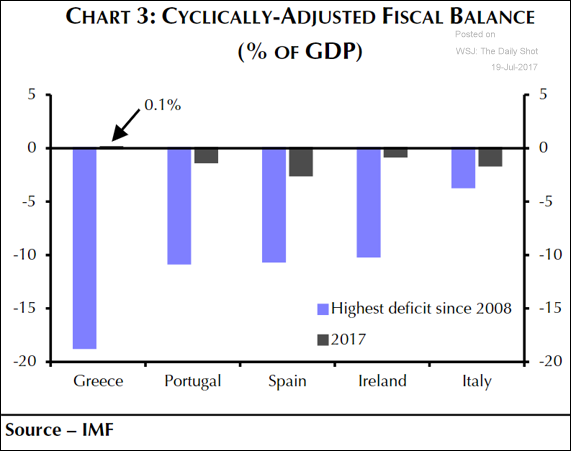 The Eurozone: This chart shows the Eurozone periphery nations’ government balances as a percentage of the GDP. 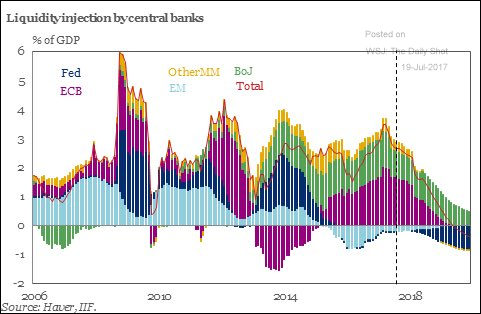 Global Developments: Below is another forecast for the net global central bank liquidity injections over time. 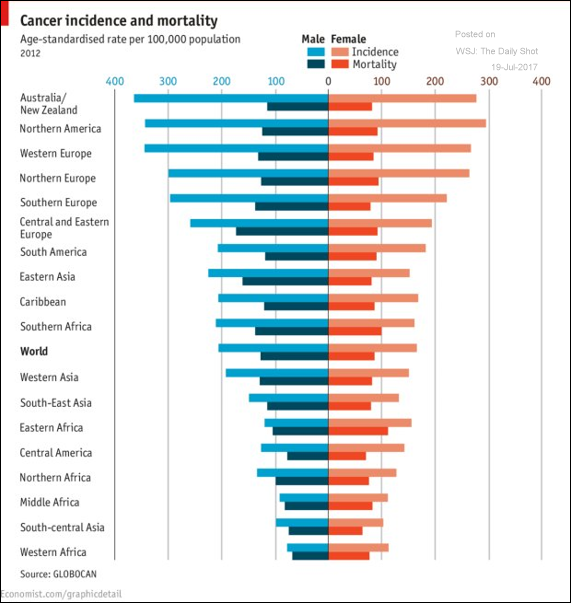 Food for Thought: Cancer rates across the globe.